Lado de montaje Eje trasero. SE ENVIA EL MISMO DE LA FOTO. Código interno: 1019818. Wir können es überprüfen. Nous pouvons le vérifier. THIS IS A GOOD DIFF IT WAS SWAPPED OUT FOR A Q2 DIFF SO HERE IT IS FOR SALE IF ANY ONE REQUIRES A GOOD OEM GEARBOX DIFFERENTIAL. OEM ORIGINAL GENUINE DIFF. DIFFERENTIAL WITH BEARINGS. Código interno para información: 359414. Nós podemos verificar isso. Wir können es überprüfen. This is number 2 on the image. , With over 370 applications, the Quaife ATB Helical LSD differential is second to none. The Quaife ATB Helical LSD differential transforms your car’s performance. Accept no imitations! These countries include, but aren't exclusive to, Switzerland, Norway, Malta, Canary Islands and the Greek Islands. 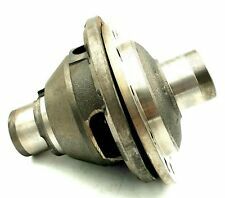 SKF 331274 L45449/L45410 L45449/410/Q - FAG 518772A - TIMKEN L 45449 L 45410 - D. 29x50,29x14.73. SKF L45449/410/Q. NUOVO NEL SUO SCATOLO ORIGINALE SKF. Periodo di. 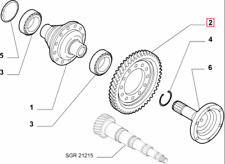 , With over 370 applications, the Quaife ATB Helical LSD differential is second to none. The Quaife ATB Helical LSD differential transforms your car’s performance. Accept no imitations! CAR LIST SUITABLE FOR Quaife PART NO: QDH2K DIFFERENTIAL. See more. You might also like. Width 19.6mm. Price:£4.40. The Quaife ATB Helical LSD differential transforms your car's performance. With over 370 applications, the Quaife ATB Helical LSD differential is second to none. Accept no imitations! These countries include, but aren't exclusive to, Switzerland, Norway, Malta, Canary Islands and the Greek Islands. Differential rear pinion bearing to fit 2000 limited slip axles. See more. You might also like. Differential front pinion bearing to fit 2000 limited slip axles. © VeloceSport. See more. You might also like. CUSCINETTO CAMBIO ALBERO PRIMARIO. NUOVO NEL SUO SCATOLO ORIGINALE SKF. LANCIA - SU Y (1995-2000). FIAT - NV PUNTO 55-60-75-90 (1993-1997). FIAT - 1A PUNTO BZ. GAMMA '97 (1997-1999). FIAT - PF PUNTO CABRIO (1994-1997). 60501743 33 (905) 1.2 (905. A) AR 30585 06/1983 - 12/1989 1186 cc 68 50. 33 Sportwagon (905A) 1.5 4x4 (905. A2C) AR 30520 09/1984 - 12/1986 1490 cc 90 66. AR 30588 06/1984 - 12/1989 1490 cc 105 77. 1.5 QV (905. ). Esto encaja Manufacturer Part Number 10320. Alfa 102021361800 - Alfa 60515632 - Malo 71651 - MALO71651 - MO 7165/1 - MO71651. With over 370 applications, the Quaife ATB Helical LSD differential is second to none. Unlike a conventional plate-style limited slip differential, the Quaife ATB differential relies on gears rather than clutch plates for its operation. Differenziale: Codice 92001226 (Prezzo nuovo 696 iva). Albero Giunto Sinistro: Codice 46307522 (Prezzo nuovo 253 iva). Corona Dentata: Codice 55192606. Ricambi usati ma in perfetto stato. The Quaife ATB Helical LSD differential transforms your car's performance. Unlike a conventional plate-style limited slip differential, the Quaife Helical ATB differential relies on gears rather than clutch plates for its operation. NTN-SNR M260.01. SNR M260.01 - ALFA 60501743. 60501743 33 (905) 1.2 (905. A) AR 30585 06/1983 - 12/1989 1186 cc 68 50. 33 Sportwagon (905A) 1.5 4x4 (905. A2C) AR 30520 09/1984 - 12/1986 1490 cc 90 66. ALFA 108852 ( D.INTERNO 20,50 mm - D. ESTERNO 23,05 mm - LUNGHEZZA 23,1 mm ). Periodo di. CORTECO 12011522B. ALFETTA (116) 1.6 (116. 75 (162B) 1.8 (162. B1B) AR 06202 09/1985 - 06/1989 1779 cc 116 85. 1.8 AR 01608 X 07/1974 - 12/1977 1779 cc 116 85. 1.8 AR 01608 X 01/1974 - 12/1976 1779 cc 116 85. ). With over 370 applications, the Quaife ATB Helical LSD differential is second to none. Accept no imitations! These countries include, but aren't exclusive to, Switzerland, Norway, Malta, Canary Islands and the Greek Islands. Diferencial del Equilibrio. Fábrica nueva, diferencial original. Fin de semana los pedidos se procesarán el siguiente día hábil. Haremos todo lo posible para solucionar un problema. VAMOS A PUBLICAR EL ARTÍCULO DENTRO DE 24 HORAS. ALFA 60542226 - 60501290 - 60543046. /DS (1990-1994). (1990-1994). Periodo di. Alfa 105411361800 - Alfa 60713583 - Malo 7211 - MALO7211. ALFA 531918 - NADELLA DB41810 - DB 41810. Periodo di. FIAT 7676181 55201208. FIAT 7676181. NUOVO NELLA SUA SCATOLA ORIGINALE FIAT. FIAT - MW TEMPRA 1750-2000 (1989-1993). FIAT - MX TEMPRA DIESEL-TURBO D.(1989-1993). FIAT - NJ TEMPRA MQ.93 D-TD (1993-1996). CORTECO 12012697B. 304014 BOXER Furgonato 3.0 HDi 160 F1CE0481D (F30DT) 04/2006 - In prod. 2999 cc 156 115. 304014 Relay Van 3.0 HDi 160 F1CE0481D (F30DT) 09/2006 - In prod. 132 1.7 Special (A1) 132 B1.000 04/1972 - 01/1974 1756 cc 105 77. FIAT - 4S 500 MCA MY2015 (2015-.). FIAT - 83 500 MY2012 (2012-2015). FIAT - 2Y GRANDE PUNTO (2005-2008). FIAT - 73 500L (2012-2017). FIAT - 4F 500L MCA (2017-.). FIAT - 4C GRANDE PUNTO (2008-2009).